It’s the last day of March with 7″ inches of powder to start the day with. The base depth is 132″ now and it looks like we will be getting more snow over the weekend and next week. With all the snow, it’s hard to fathom the ski season ends on April 16th! Free Demo Day is April 8 at Alta. Skiers will have an opportunity to try dozens of next years’ skis from ski reps at no cost. If you are considering getting some new skis, this is a great opportunity to try an assortment of skis from different manufacturers. The event will be located at the base of Collins lift and starts first thing in the morning. Sign up with a credit card as a deposit and you’re ready to go. 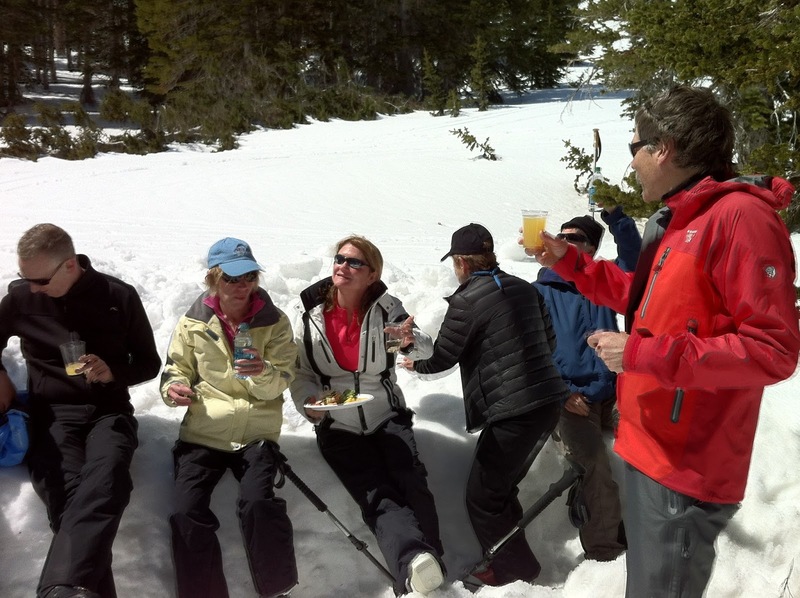 With a sunny day or two in the next week, we plan to do mountain picnics for Alta Lodge guests. We put this event on in a “secret” ski-to location. It’s a fun event for our staff and guests alike. Spring season is upon us with unpredictable weather and spectacular skiing. Take advantage of the great coverage we have on the mountain and come have some fun with us during Alta in April! Friday, April 7 – 11th Annual Alta Gala. Celebrate & support three non-profits in Alta. Party the night away at at the Latin themed Alta Gala at La Caille Restaurant! Saturday, April 8 – Demo Day. Demo 2017-18 skis from dozens of manufacturers and enjoy apparel sales, music and more! Wednesday, April 12 – Beer and Bratwurst for $10 at Alf’s Restaurant. Saturday, April 15 – Alta Earth Day. Sunday, April 16 – Alta Community Enrichment Easter Egg Hunt.